According to the National Alliance on Mental Illness, 1 in 5 people living in the United States experience mental illness a year, and 1 in 25 adults experience a serious mental illness that alters one’s lifestyle. What’s even more troubling is the youth’s numbers. One in 5 people ranging between the ages of 13 to18 experiences a severe mental disorder. That means 21.4% of the country’s children are susceptible to some sort of mental disorder. These alarming numbers confirm the need for social workers in the mental health industry. If you’re interested in working as a social worker, then the degree program you need to seek out is a Bachelor’s of Science in Psychology. Many students might think that in order to enroll in a psychology degree program, they have to stay on the academic track of becoming a licensed therapist. This kind of thinking may repel some aspiring students from pursuing an education in this field. Just like not all healthcare workers are nurses and doctors, not everybody working in the mental wellness sector are psychologists. However, because it is part of the healthcare industry, the chances are highly likely that whatever position you desire to acquire will require some type of higher education, and a bachelor’s degree in psychology is exactly you will need to make your resume applicable to any job in this particular part in the healthcare industry. Even so, Psychology is still one of the more popular college majors that students gravitate to. Here at Florida National University (FNU), we believe that there might possibly be more interest in this profession if students have a better understanding of what they can do with a bachelor’s degree in Psychology. There are a variety of entry-level jobs that college graduates can apply to. But first, it might be a good idea to understand the job of a social worker. Mental Health – This type of social worker can also be combined with clinical workers. However, the mental health social worker generally provides information on different types of services that can help one toward recovery. Groups like Alcoholic Anonymous, Post-Traumatic Stress Disorder (PTSD) groups, or 12-step programs might be some examples of where a mental health social worker might refer a client. Clinical – Here, you’ll have your licensed clinical social workers who are authorized to diagnose and treat mental and behavioral disorders. A degree higher than a bachelor’s will be required for this type of social worker. Family and Children – Social workers in this type of setting will be involved with more domestic-related issues that pertain to assisting people with affordable housing services, child care, adoptions, assigning orphan children to foster families, etc. School – The school social worker will work in an academic setting communicating with teachers, parents, and students. The overall objective for this type of social worker is to help students improve their academic skills and talents. Healthcare – The healthcare social workers’ job is to help patients adjust to their lifestyle in regards to healthcare. This can also be joined with mental health as this oftentimes relates to adjusting to a new way of eating or dealing with a serious illness. 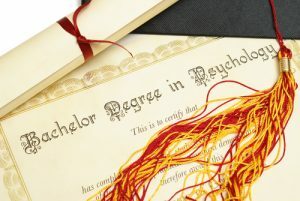 The Bachelor of Science in Psychology offered by FNU is unique because students can earn this degree in the comfort of their own home, whether they live in the state of Florida or not—and they won’t be penalized by any out-of-state tuition fees. There are some online degree programs that typically cost more simply because it’s offered online. FNU’s tuition is the same whether you decide to physically enroll in our campuses in Miami or Hialeah, or from your living room couch in Georgia! The BS in Psychology prepares students for entry-level jobs in the mental and social wellness industry. A minimum of 120 credit hours is needed for students to acquire the general knowledge about the basic fundamentals of Psychology. A total of 42 credit hours of general education requirements like Math, Biology, English, computers, etc. along with the core Psychology classes are offered. Additionally, students will have the choice to focus their studies in either the mental health concentration or tailor it under additional studies. Courses offered under this concentration will focus more on family, children, and the school social worker. While some people may be skeptical of online degree programs, you can rest easy knowing that FNU is a regionally accredited institution vetted by the Southern Association of Colleges and Schools Commission on Colleges awarding associates, bachelors, and master degrees. Begin your career as a social mental wellness worker by enrolling in FNU’s Bachelor of Science in Psychology on campus or online. Read about what you need to look for in an online college program in “Online College Programs in South Florida here. Contact any one of our campuses to schedule an appointment with an FNU advisor today.